Beautiful Nigerian lady, Hauwa Umar Usman graduated with a first class degree in Aeronautical Engineering from the University of Brighton, England. Hauwa who hails from Kano state, is the daughter of Major-General (ret) Umar Tudunwada Usman, who was an Army Chief of Transport and Logistics. Hauwa's story is so inspiring because while still in school, she was diagnosed with dyslexia but she, however, did not allow the learning difficulty to slow her down. Speaking to Global Sentinel, Hauwa revealed why she chose to study Aeronautical engineering. Dyslexia is a “specific learning difficulty” that can cause certain problems with the ability used for learning, such as reading, writing, and understanding a task among others. Hauwa stressed that intelligence is not affected as she under took the stages of assessment for dyslexia “and it was discovered that I had a certain level of learning difficulty. The most important thing at that stage in my life was how to manage and develop a strategic way to understand where my difficulties affected me more”. According to Hauwa, she had her moments of highs and lows during her undergraduate days. 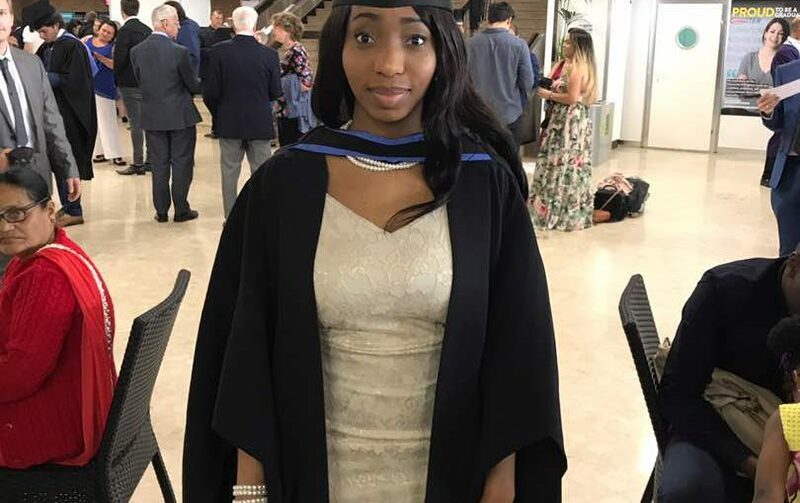 She stressed that her “success in Aeronautical Engineering has been through hard work, stepping out of my comfort zone, understanding strategic ways to manage my learning difficulties, having a positive mind set and most importantly the encouragement from my family and friends during my most challenging times, allowed me to be amongst the very few with a first class degree in Aeronautical Engineering”. She advised parents not to attack any child because he or she cannot perform a task. "Dyslexia is a common learning difficulty that can cause problems with reading, writing and spelling. It causes problems with certain abilities used for learning, such as reading and writing. Unlike a learning disability, intelligence isn't affected"